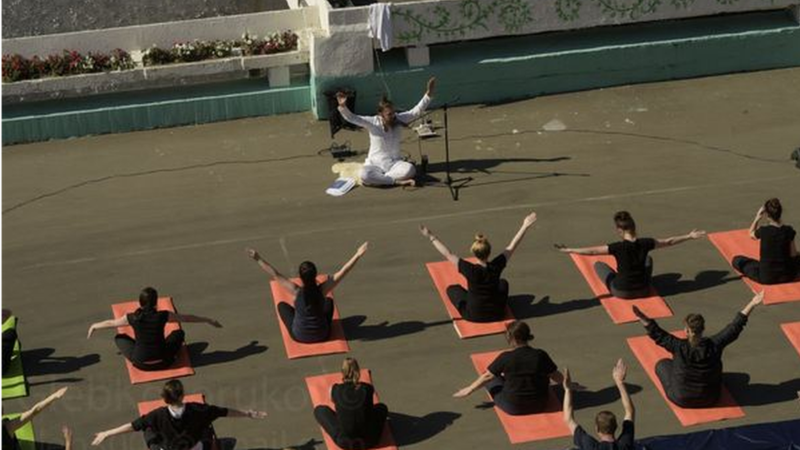 Russia is reinstating prison yoga classes that were suspended after a complaint based on the concerns of a leading opponent of religious minorities. Senator Yelena Mizulina asked the prosecutor-general to check the legality of kundalini yoga classes introduced on a trail basis in Moscow remand centres, and they were duly suspended during the subsequent investigation, Moskovsky Komsomolets newspaper reports. But the paper obtained a supporting document written by Alexander Dvorkin, a Moscow academic who opposes the influence of minority religions as “totalitarian sects”, prompting outrage and mockery in the Russian media. Alexander Dvorkin is an influential figure. He teaches at a university run by Russia’s powerful Orthodox Church, and heads the council that advises the justice ministry on religious matters. He also publicly backed a 2017 ban on Jehovah’s Witnesses that has led to complaints of ill-treatment of followers of the religion. Professor Dvorkin is worried that kundalini yoga, which has roots in Hinduism, “could lead to uncontrollable sexual arousal… and in consequence to the development of homosexual relationships between inmates,” according to the Moskovsky Komsomolets report. He said this raised security concerns, as some prisoners “might go on hunger strike in protest” if they thought inmates serving their food were gay, the paper says. But the prison authorities have decided to disappoint both of these moral crusaders, as official research shows that yoga is beneficial to inmates and has no links to homosexuality. Prison Service Deputy Chief Valery Maximenko told Govorit Moskva radio that inmates who practice yoga need less medical attention, and that “nobody is being drawn towards homosexuality by it”. “But, even if they are, we have democracy in our country, and everyone has the right to choose their own path… within the law,” he added, in an unusually candid statement for a senior Russian official. Homosexuality is legal in Russia, although a 2013 law imposed draconian restrictions on education about and “positive depictions” of gay life – a law authored by Senator Mizulina. Mr Maximenko was equally frank in his criticism of the US-educated Professor Dvorkin, whom he called a “strange character… who lives by outdated concepts”. Ms Mizulina is not enjoying the public mockery of her letter, and has branded the broad tenor of reporting “typical fake news”. She told the Komsomolskaya Pravda daily that her letter did not demand a ban on yoga, but merely asked the prosecutors to check its legal status. “I was doing my duty as a member of parliament by acting on the request of a Russian citizen,” she said. She added a warning to her critics that she plans to fire off another letter – this time to the official media watchdog, asking it to check whether journalists have fallen foul of Russia’s new law against false reporting.